It’s that time of the year again: The large majority of annual bonuses will be paid to employees in time for the Festive Season. Since a bonus is an additional item on the payslip and not a regular occurence, you might wonder how to correctly process it correctly. Errors can result in incorrect PAYE amounts deducted, costing either you or the employee unnecessary money and stress. We have good news! Here is a simple guide to follow below. Before you start: Ensure you are in the correct period you want to process the bonus for. 2. 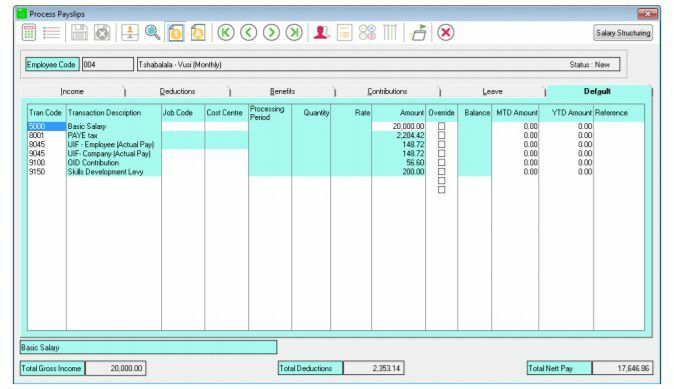 On the Income tab of the payslip, insert Transaction code 5200 – Annual Bonus and insert the amount in the Period Amount column. Additional Tip: If you would like to change the description of the Transaction. 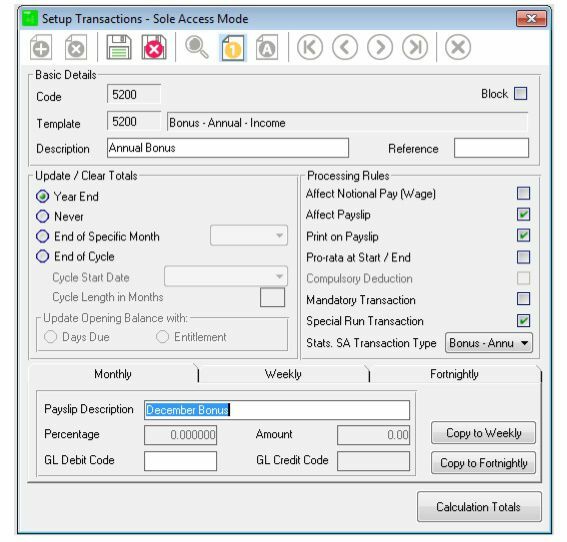 Go to Setup > Transactions code 5200 and edit the Payslip Description on the correct frequency tab.